Why is it that the portable electronics that can be so convenient—mainly cell phones and mp3 players—can be such a hassle when you’re trying to drive? But with today’s technology, they don’t have to be anymore. Bluetooth and iPod integration enable you to directly interface your portable electronics with your car stereo for convenient, easy use while you’re on the road. No more digging around in your purse when your cell phone rings; no more tangled iPod connection wires—with device integration from Bumper to Bumper Car Audio your cell phone and iPod can be just as convenient on the road as off! Just because you’re in the driver’s seat shouldn’t mean that you can’t enjoy your mp3 collection. An iPod integration system from Bumper to Bumper Car Audio enables you to conveniently listen to your music player, without staticky FM transmission connectors or tangled wires. Our mp3 player integration systems interface your iPod with your car stereo system: you easily manage your music library through the deck and enjoy top-quality sound via your car speakers. 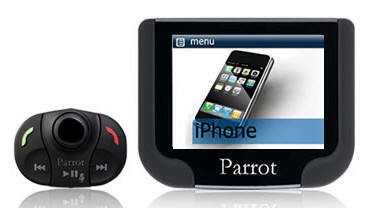 iPod integration from Bumper to Bumper Car Audio gives you access to music stored on your mp3 player without the hassle! And with our convenient iPod installation services, we can provide you with one-stop solutions for both iPod integration system sales and installs. Call today to learn more. It’s hard to resist the temptation to chat on the phone while driving. But talking and driving is both dangerous and illegal in the state of New Jersey. Bluetooth integration makes chatting hands-free, enabling you to keep both hands on the wheel and helping keep you safe—and legal. Bumper to Bumper Car Audio wants to help keep you safe with a complete Bluetooth integration system. With available features like on-screen caller ID, voice dialing, voice command, touch screen dialing, voice texting, and more, you can conveniently use all aspects of your mobile phone without risking your life or breaking the law. We offer both add-on Bluetooth units and fully integrated audio decks with Bluetooth, so no matter what vehicle you drive and what your cell phone integration needs are, Bumper to Bumper Car Audio should have a great solution for you! We provide installation for both commercial and individual car owners, ensuring you get both the Bluetooth integration products and service you need to take your vehicle to the next level.